It’s long overdue…. 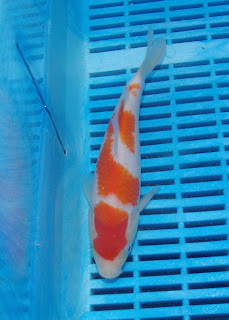 and last weekend Amanda and I netted the fry growing on tank and performed our mid winter selections. 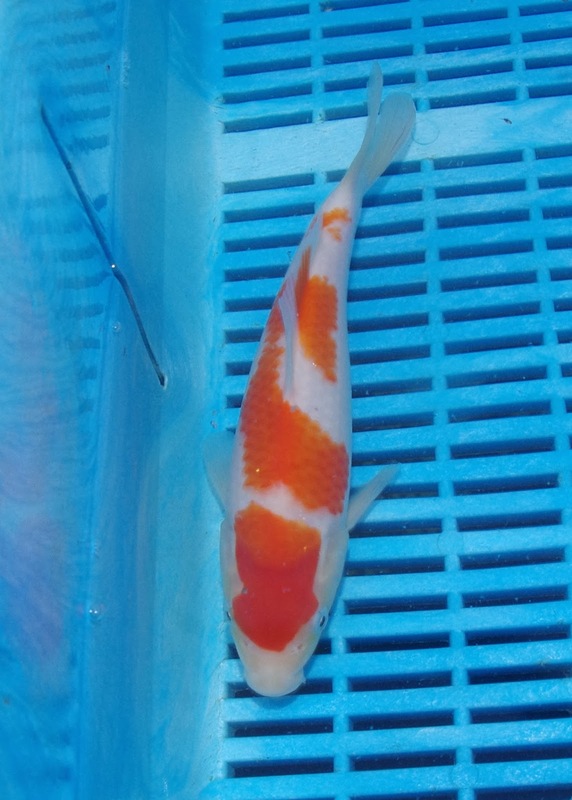 There were around 200 koi in the tank, and I’ve selected 80 ish to continue growing on – and I removed the remainder from the tank to give the best 80 the most amount of space for the next growing on stint, which runs from now until May. Size wise, they’re still lagging around 10cm behind where I was last year – and this aligns to the 10cm growth missing by the end of last summer – the upside is that the growth improvement since September / October has roughly matched what I achieved last year. 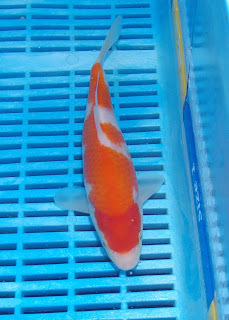 And if I can keep the fish happy and healthy, then they’ll be between 25cm and 35cm by the end of May. 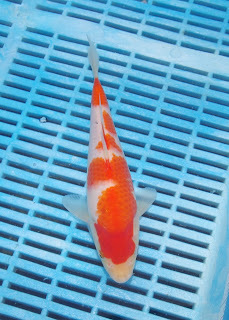 Overall – to be honest, I thought the ratios of better quality kohaku’s from the previous use of the same parent set would result in a larger number of better quality koi this year because the number we reared to first selection was so much larger than the previous year; at least 10 x as many. 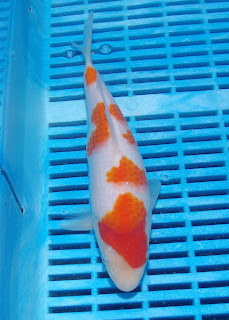 But, the number of better quality koi are not 10x as many as the previous year. 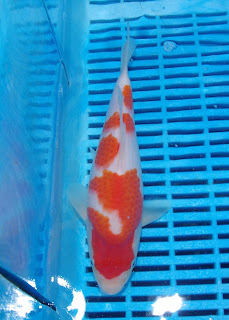 And in fact, I’m not sure whether any of these are as good as the best 2 from the previous year’s spawning. I guess time will tell, and the only other person who’s seen these in the flesh is Amanda, and she thinks I’m being a bit harsh; there’s no doubt some of these have decent patterns. There are a few with promisingly shaped bodies, and there are two with the most promising body shape at this stage for what I think will end up being a good enough body shape for me to feel comfortable putting exhibiting later in the year. But those with the best bodies have pattern defects that may work against them if I was to show them at the smaller sizes. 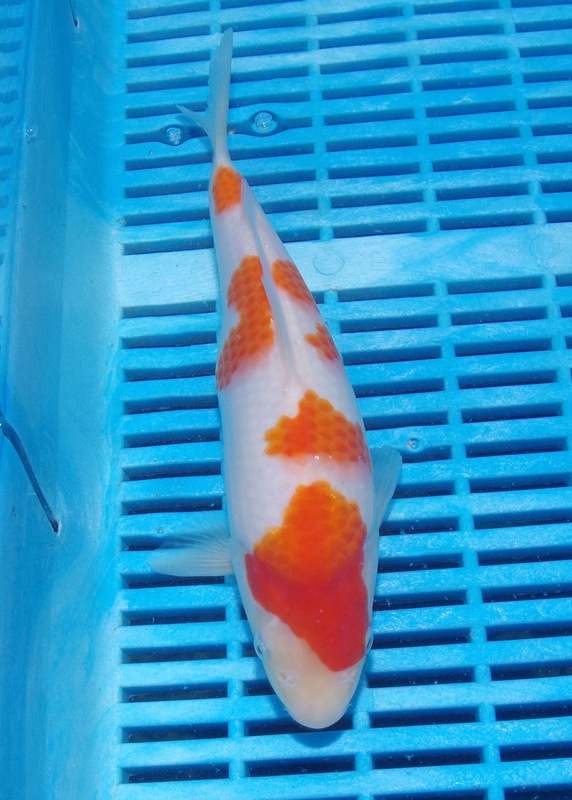 And the largest koi from this spawning just don’t have the patterns to warrant them making the final 80 – so they’ve been selected out. It’s so frustrating! 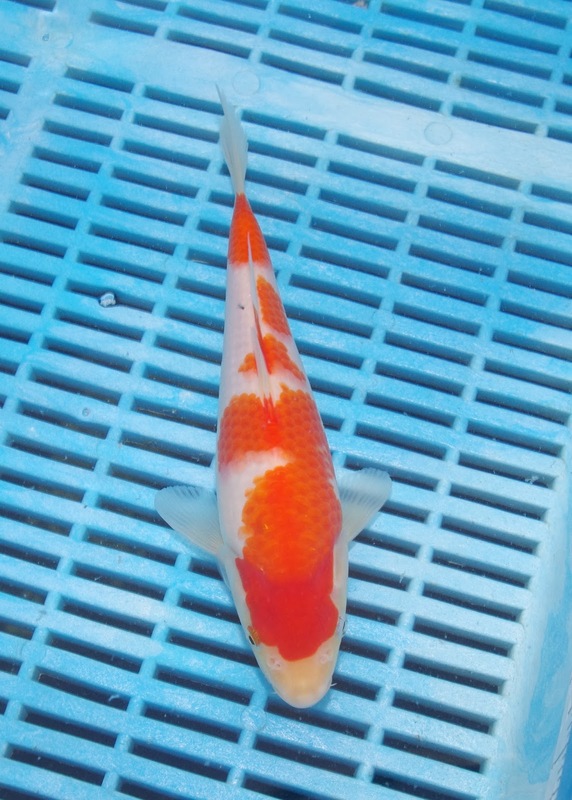 But, that’s koi breeding for you. What is has done is build up even more determination for our breeding efforts this year and the target has to be to rear far more from one spawning that we’ve currently managed. 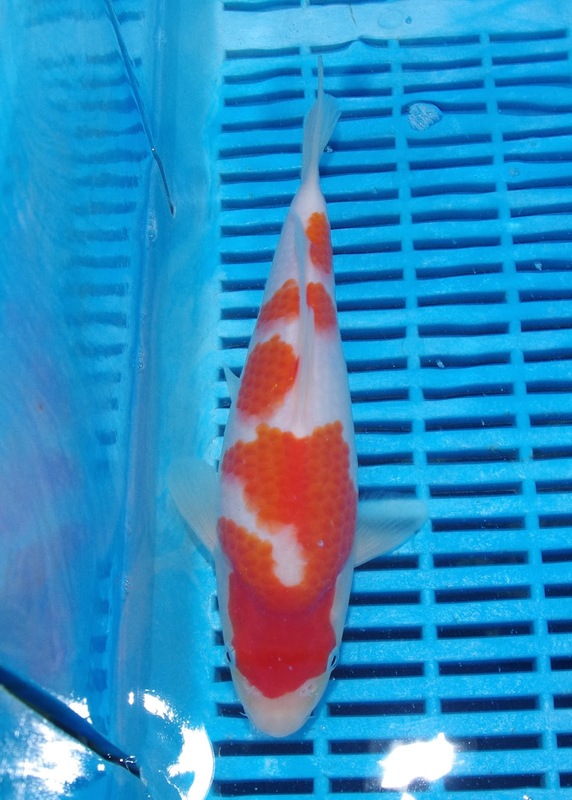 I’ll probably lead with Elle Macpherson and she’s still looking fantastic in the females pond; plenty of eggs, and I think she may have grown a few cm’s to – I’d measure her if I have a bowl large enough! 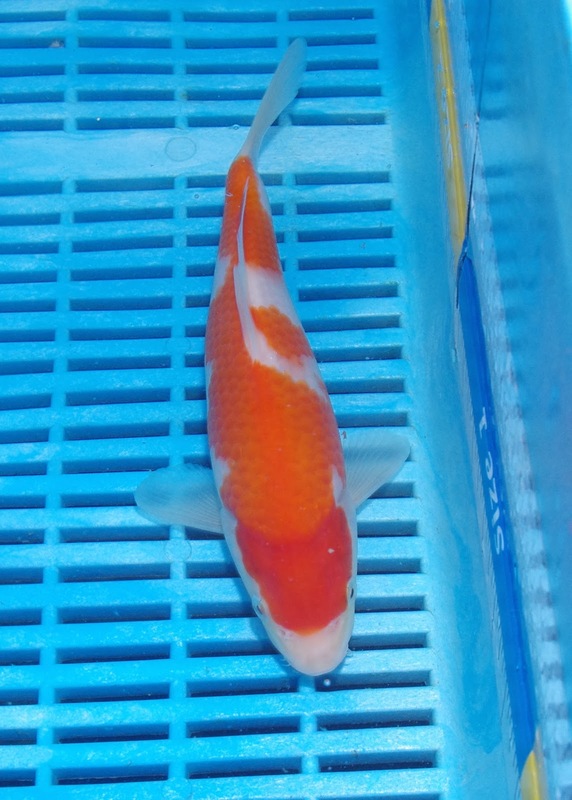 (that’s one of the new pieces of equipment I’m after this spring… a rectangular inspection bowl that will comfortably fit koi in the mid 80’s cm.) Sharkey is also looking good, and a decent batch of eggs developing too.